Bloomington, Ind. – Cynthia Kretz, vice president and general counsel at Cook Group, was honored for her excellence in the legal field as a part of this year’s Shirley’s Legacy award on September 21. Barnes & Thornburg hosted its third-annual ceremony in honor of Shirley Shideler, the first woman to be president of the Indiana Bar Foundation. Kretz was one of five women recognized for her trailblazing spirit and outstanding accomplishments. They were applauded for cultivating and mentoring the next generation of female and minority leaders. 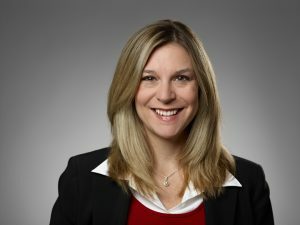 As Cook’s vice president and general counsel, Kretz leads global operations of the legal department as well as directing representation in court. Prior to her nine years with Cook Group, she worked for Wabash National. It was there that she formed their legal department and would later operate as vice president general counsel and secretary to the board of directors. Cook Group is proud to congratulate Cynthia Kretz on this honor as she continues to be a leader in her field and her community.